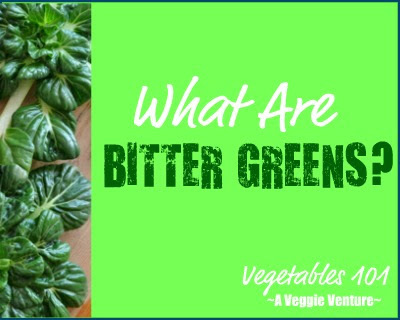 Vegetables at the breakfast table? With a little imagination, sure! 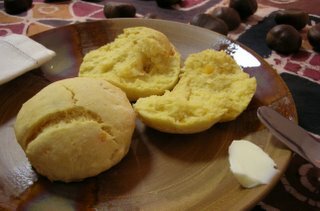 As an idea, sweet potato biscuits seemed an inspired choice for a late-fall-feeling Thanksgiving morning. Otherwise, straight biscuits would be the order of my day. The experts say that a light touch is needed for light biscuits. I'm no expert but these turned out light enough though I'm a real fan of my grandmother's trick of adding an egg. There's a few in the freezer (a trick from King Arthur Flour's Baking Companion, my favorite go-to reference for baking) so fresh hot biscuits will be a welcome treat over the next few days. In a medium bowl, stir together the sweet potato, butter, milk, sugar and egg with a wooden spoon. ::: Warning: unorthodox time- and dish-saving tip follows ::: Before measuring, stir the flours with a spoon right in the canister. The 'lightening' effect will be palpable and reduces the weight of the flour by as much as 25%. Doing this makes all baked goods lighter and less floury. Now measure the flours, baking powder and salt on top of the wet mixture but without incorporating it in. With a fork, stir them together lightly, still without incorporating them in. This replaces the sifting that recipes usually call for to lighten the flour. Incorporate the flour mixture into the wet mixture. Knead it briefly in the bowl to form a dough. Turn onto a lightly floured surface and knead two or three more turns. With a rolling pin or bottle, roll out the dough to about 3/4 inch thick. Cut with a biscuit cutter (a can or glass will do but won't 'cut' the sides in a way that promotes high, fluffy sides that are so desirable in biscuits) and transfer to an ungreased baking sheet. A scant two pounds of sweet potato yielded a generous three cups of mashed sweet potato. I boiled them, skin on, then peeled and mashed. They were big and it took FOREVER. Next time I'd peel and boil or steam. Or check out the baby food section! Cake flour has less gluten than all-purpose flour so once again, lightens the biscuits. Oddly enough, even a good grocery doesn't always carry it so grab a box when you see one.